With Apple’s iPhone being a device that we carry around pretty much 24/7, we often want to share web content with each other, and thanks to the App Store, there are more than a few good ways to do just that. What none of these apps do though, is take Safari’s ‘Email Link’ feature, and expand it to include a visual cue as well as a boring old HTML link. While links are great, and we wouldn’t have the modern internet without them, they often aren’t the most descriptive of things. What is that URL actually going to point to? Now, a new jailbreak tweak called Email Safari Screenshot aims to add a little context to our emails with the help of a little visual aid that might even save the recipient even having to visit the link at all! And in doing so, also save the recipient his precious data to some extent. 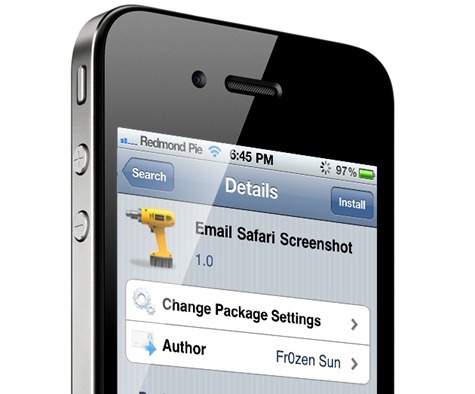 Once installed via Cydia under the BigBoss repo – and it’s free, by the way – Email Safari Screenshot creates a new button called ‘Email Screenshot’ inside Mobile Safari. From now on, tapping the button will not only create a new email with a link already inserted, but it will also take a screenshot of the web page and embed it into the email, how cool is that? There are no settings to change, no new apps to use, and it’s absolutely free. 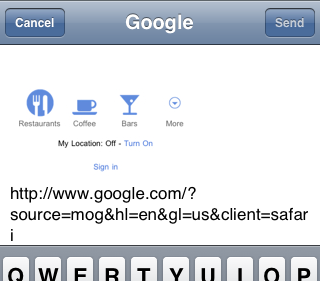 What’s not to like about Email Safari Screenshot? We’ve not found any bugs or quirks in Email Safari Screenshot yet and it does seem to work as described, but if you do, you know where our Facebook comment thread is! If you don’t like Email Safari Screenshot, do you use an alternative, and if you do, what is it? If Email Safari Screenshot sounds like your particular bag, then you will obviously need to jailbreak your iPhone. You can follow our step by step guide posted here to jailbreak your iPhone, iPad or iPod touch on iOS 4.3.5 using Redsn0w (or PwnageTool), or on iOS 4.3.3 using Redsn0w, PwnageTool, Sn0wbreeze & JailbreakMe (that last one being the easiest).